This 240mm diameter 24V Kapton Heater is an inexpensive but highly valuable upgrade for delta-style 3D Printers, and is commonly used to upgrade a standard bed into a heated bed. 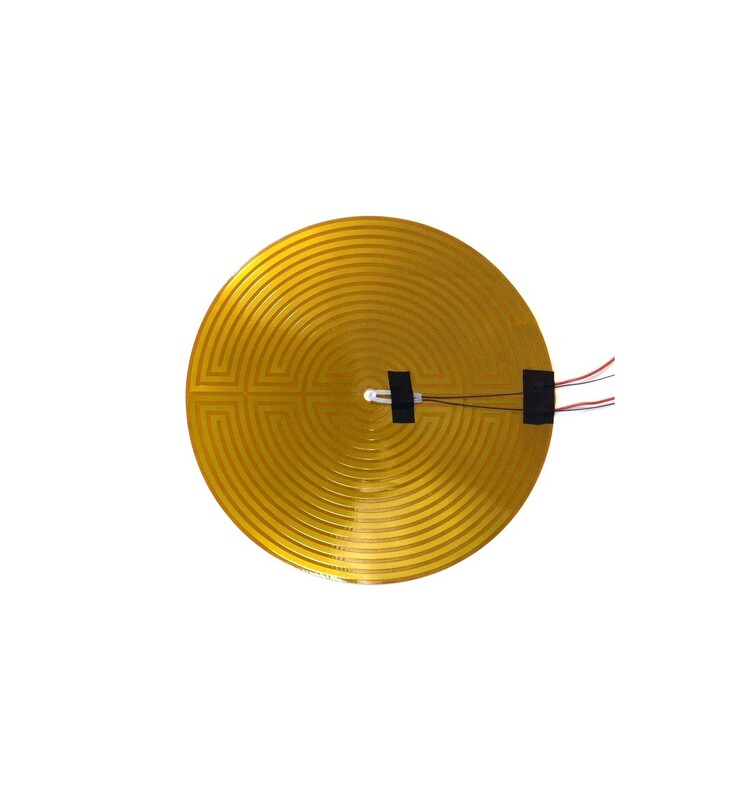 It is essentially a heating element etched into a highly heat-resistant foil, which is then covered and insulated by Kapton Tape for lasting durability. It operates on 24V DC, often used in conjunction with the Heatbed MOSFET Power Module, and allows you to print in a variety of different 3D Filaments that would typically require a heated build platform. 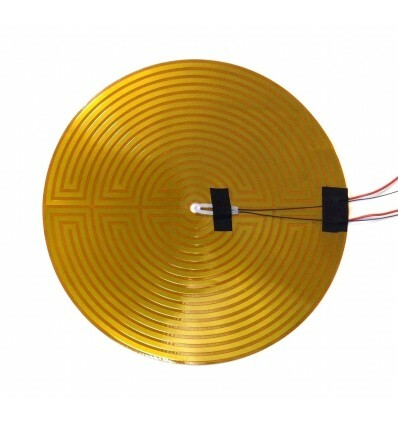 This heater pad is round with a 240mm diameter, which perfectly caters to the round build platforms of Delta-style printers, although it can also be used for squared build platforms as well. However, just remember that it may not be able to reach the corners of a square or rectangular build platform, although this shouldn’t be a big problem unless you want to start a print from one of these four corners. This 24V 240mm Round Kapton Heater Pad is stocked as an upgrade for the Anycubic Kossel Delta Linear Plus, but can actually be used for a wide range of different printers. This is because, despite the round shape, the heat should be able to spread quite evenly throughout aluminium build platforms, meaning that it could also be used for squared or rectangular build platforms too. Just remember though, that this heater pad is designed to use 24V power, so you may require the MOSFET Power Module to step the voltage up from 12V to 24V, depending of course on what printer you are eager to upgrade. Finally, as always, our Support team is always ready to help you make the right purchase decisions, so if you are not sure whether this will work for your 3D printer, simply email our support line and provide us with details on what printer you are looking to use this heater pad on.